Two years have passed since the events of the first game, and the situation on Mata Nui is worsening. Swarms of roving Bohrok rampage across the island, growing in number and strength with each passing day, laying waste to the landscape. Colossal defensive barriers now surround each of the villages, shielding swathes of land and wildlife from the wrath of the ravenous creatures. Debates rage in every corner of every settlement as to how this crisis should be combated, with no clear answers. Some argue for unity, while others petition for independence. Followers of the old gods urge for the resurrection of Makuta, while other factions suggest that nature be allowed to take its course. Regardless of what line of thought one chooses to follow, one thing is abundantly clear: something needs to be done, and soon. The remaining Krana have been found, but their power is wavering. Unconfirmed sightings suggest that the rumoured ‘Generals’ of the swarms, the Bohrok-Kal, have awoken, and if they have freed themselves from their ancient prison, then it’s only a matter of time before the Bohrok Queens rise... and all life on Mata Nui succumbs to their ravenous hunger. Although I imagine that most of you will be somewhat familiar with how these games work by now, I’ll give a quick rundown of the basics nonetheless. The game will consist of seven rounds, known as Episodes. (However, the number of rounds may be increased or reduced if I feel it necessary) These episodes will last 3-5 days, depending on how much is happening, and I will announce in this topic when each episode begins or ends. Over the course of each episode, players will use PMs to travel between locations, interact with other players, and a wide variety of other actions, which will be elaborated on further below. When each episode is concluded, the actions that occurred across the various PMs will be combined into a scene and posted in this main topic. Keep in mind that even if you, the player, knows something from reading the scene, that doesn’t necessarily mean your character will know those same things in-game. In regards to PMs, there are two kinds: OFFICIAL and BACKDOOR. An Official PM is any PM that I have been added to. Anything you say or do in these PMs may or may not find its way into the scene, so be careful. Actions and moves made in Official PMs are the only ones that will be acknowledged in episodes, so if you wish to travel, or communicate, or do anything that will actually happen, it needs to be declared in an Official PM. Each player and village will have an Official PM, and others will be established as the game goes on. (So please ensure you have room in your inboxes for multiple PMs). A Backdoor PM is any PM that I’m not included in. These are the PMs where you can form secret alliances, communicate covertly with other players, or whatever else you wish. Keep in mind, though, that anything you say or do in a Backdoor PM will not be acknowledged as having actually happened. This also means that information gained in a Backdoor PM can’t be used in-game unless your character has another way of learning it. There are a great many actions you can take over the course of an episode, and very few limitations to what they moves can entail, but here’s a brief overview of some of the more common moves you might choose to make. Communication – The simplest and most integral of moves, this is the simple act of talking to another player. Obviously, you need to be in the same PM as the other person for this to work, but aside from that, there aren’t many limitations to this. Remember, only conversations that occur in an Official PM will be included in the episodes. Messages – Each Koro also has access to a limited number of small Kewa birds. As scavengers, they’re easier to feed and care for than most other rahi species, and serve well at the task of delivering handwritten messages between villages. Due to their small size, there is a slight risk that they can be intercepted by larger bird species, but they still provide the best way of delivering anonymous messages. (In other words, if you send a message by bird, your name won’t be explicitly mentioned in the scene unless someone sees you, or you include your name in the letter). In addition to this, certain roles also have the authority to send NPCs via Gukko bird to deliver messages on their behalf. Combat – Depending on how you all choose to “negotiate”, this might happen a lot, or not at all. How it works is fairly straightforward – you describe your action, then the other player/s involved will describe their response, and counteraction. You might choose to ask me to roll for certain stats to better your chances of landing or evading a hit (more on stats later), in which case you’ll need to wait for me to determine the outcome of the dice rolls before proceeding further with the battle. Command – Regardless of your role, you may at some point find yourself in charge of groups of NPCs. As with regular combat, battle with NPCs will be turn based, with the commanding players dictating to me which re/actions they wish to take. However, battles between NPCs will not be won solely based on whoever has the largest force at hand. The way you take advantage of terrain and resources, as well as your use of strategy and logistics, will have a major impact on deciding the outcome of any engagement. Travel – Another straightforward action, this is the simple act of going from one location to another. How long this takes will depend on where you’re travelling, who you’re travelling with, and what might happen along the way. As a baseline rule, though, it takes roughly 24 hours IRL to travel from one Wahi to another. Other – There are plenty of other things you can attempt. If you can think of it, and justify being able to pull it off, it’s probably worth a try. Turaga – In a slight divergence from canon, Turaga is simply the name given to the Matoran who’ve been appointed to lead each village. They get the final say in most decisions, and can potentially overrule the commands of other roles. Captain – Serving as both Captain of the Guard, and Admiral of the navy in certain cases, this role oversees the protection and defence of their village, and is expected to take charge during combat operations. Should the Turaga be killed or incapacitated, it may fall to the General to lead the Koro in times of crisis. Diplomat – These guys handle trade, negotiation, etc. with the other tribes. Much of their time is spent travelling across the island, speaking with their counterparts in the other villages. Some diplomats also have access to certain shady contacts, who may be able to provide them with integral Intel on other villages. Should a Diplomat be eliminated, or deliberately sever trade, it will take three episodes for the other villages to run out of whatever resource that diplomat was dealing in. Other – Each Koro will also have a fourth player. It’s up to you to pitch to me what capabilities and privileges this additional player may have – they may be a religious leader, a spymaster, or something else entirely. In some cases, this role may instead go to a returning character who is estranged from their home village. You don’t need to have read or participated in the original BZPMN to play this game, but if you wish to read up on the events that have come before, they can be found in the Season 1 topic. There is also a blog post explaining some of the events that have transpired between seasons, and a map of the island. Please post in the topic which village you would like to be assigned to, then send a PM to me entitled BZPMN 2: [Your Username]. Include in this PM your stat sheet (see below), your character’s pet (if they have one – see below), a short description of your character if you wish, and their name (if you want them to be called something other than your current username). Once all spots have been filled for a village, I’ll gather everyone into their village PMs, where you can decide on your roles. After this is done, I’ll create a short, introductory prologue episode, and then the game will begin in earnest. For the most part, I’ll be relying on player’s own logic and decision-making skills to determine the outcome of most of their actions, but for those of you who prefer to use numbers for these sorts of games, the stats below will help generate more divergence between players during actions and encounters. You have 15 points to distribute between the three categories, although you are limited to a maximum of 10 points for any given stat. Whenever an action occurs that requires a roll, your stat will be combined with a RNG roll out of 10, resulting in a total value out of 20. Strength – this stat relates to any action involving brute force or endurance, such as overpowering an opponent, fighting on despite an injury, and so on. Agility – this stat is used for actions relating to speed and finesse, such as attacking quickly, dodging incoming blows/projectiles, and sleight of hand. Intellect – this stat is used for actions involved perception and persuasion, such as convincing or deceiving someone, or noticing hidden things. While resources are somewhat scarce on post-cataclysm Mata Nui, there are nonetheless some Matoran in positions of power who can afford to own and care for rahi companions, which can provide certain benefits. Players are limited to only one rahi pet, which will share the same stat sheet as their owner, and are just as vulnerable to fatigue and attack. Brakas – Annoying, noisy, ape-like rahi, these creatures are extremely dextrous, adept at climbing trees and walls. While not the brightest animals around, they do understand simple commands, and can be instructed to fetch objects and the like. However, they’re not the most stealthy of creatures, and are therefore better suited as distractions. Dikapi – Well acclimated to a desert environment, these creatures are known for their strong beaks, and heightened endurance. A Dikapi is capable of carrying two Matoran, or one Matoran and additional equipment, without reducing travel time. A Dikapi can make multiple trips across the island without needing any sustenance or rest, making it an ideal mount for those who plan to do a lot of frequent travelling. Ussal – Similar to the Dikapi, Ussal crabs can be used to carry two Matoran, or a single Matoran with extra gear, without impacting the time it takes to travel. As well as this, many of them have been trained to serve as mounts in combat, particularly in the Great Ussalry of Onu-Koro. Gukko – Graceful, four-winged birds, these creatures were frequently used as mounts in Le-Koro. The few that survived the inferno have found new homes in the other villages. Riding one reduces the travel time between any location by half, but once the destination is reached, the Gukko will require 24 hours IRL to rest before it can be used in this way again. The Gukko can still fight and travel during this cooldown time, if need be. Hapaka – Agile, dog-like rahi, these bipedal creatures are known for their sociable, curious nature, and sharp, barking cry. They understand basic commands, can track scents, and make for amiable companions or guard dogs. Kavinika – The bigger, meaner cousin of the Hapaka, these vicious lupine beasts are more savage and hard to control than their relatives. Kahu – Cunning, hawk-like rahi, (for the purposes of this game, think of them as being more like a bird of prey, big enough to ride on your arm or shoulder), these intelligent avians have been trained to follow simple commands, and are capable of intercepting and grounding their smaller Kewa cousins. As detailed in the blog post linked above, many things have changed on the island of Mata Nui during the past few years. The villages have embraced a newfound sense of multiculturalism, allowing Matoran of any element to reside within their walls. As such, there are many who believe that the names of the villages are outdated, and in desperate need of changing. S0, after a village has been filled, players will have the opportunity to decide if they wish to rename their village. Once the villages are filled, players will be arranged into a group PM, which will contain more in-depth information about the Koros. A veritable fortress of stone and metal, Ta-Koro is encased in towering fortified walls, and surrounded by a moat of lava, with a retractable drawbridge to prevent enemy access during a siege. They primarily trade in metal and other goods mined from within the volcano. The village’s total population numbers at around 1000, with 300 of those serving in the guard, and 100 more in the navy. The population consists mainly of Ta and Su Matoran. Making judicious use of the natural defences at their disposal, Ko-Koro is situated beneath a colossal block of ice that separates two glaciers, and is surrounded on all side by crevasses. The village is accessible only via a bridge connecting to the main entrance, and a secret tunnel known to only a few high-ranking officials. With a population of skilled rahi hunters, they trade heavily in sophisticated animal traps, as well as various captive rahi and other animal goods. Their population is roughly 1000, with 300 serving in the Sanctum guard, and a further 100 in the navy. Most of the inhabitants are Ko and De Matoran. Situated on the vast, open plains of Po-Wahi, the skilled carvers and masons of Po-Koro have had to work hard to establish their village’s defences. A high stone wall encircles the village, and the surrounding landscape is dotted with statues and monuments that are both visually pleasing, and make for decent cover in a firefight. Officially, the population is currently around 750, with 250 of these operating as a defensive garrison, but the city is still home to a great many criminals and fugitives. 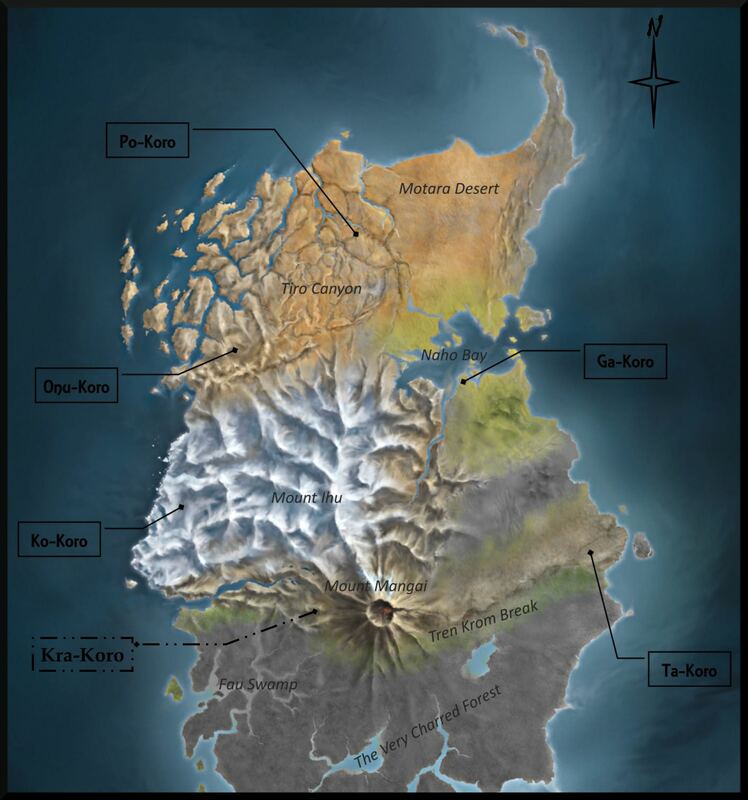 Po-Koro is primarily populated by Po-Matoran, but is home to a wide variety of others as well. Hidden away in a cavern deep underground, Onu-Koro’s isolation is its greatest defence. A singular large tunnel connects from the village entrance to the surface, but there are numerous other entrances known only to the populace. Their exports include minerals and metals mined from beneath the earth, Their population sits at around 750, with 250 of these serving in the Ussalry. 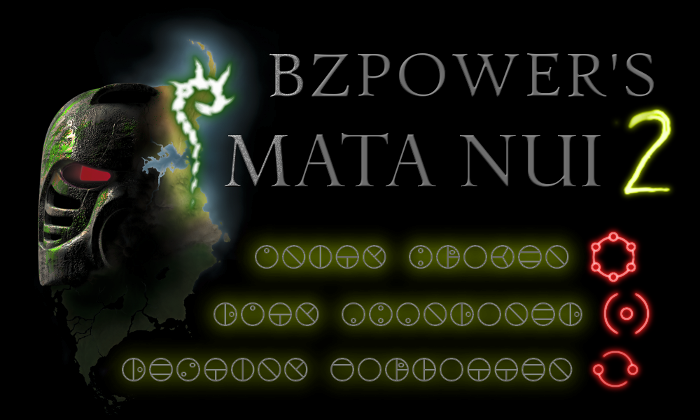 In addition to the resident Onu-Matoran, the village has also come to house a large population of Fa and Fe Matoran. Nestled in the heart of Naho Bay, Ga-Koro is built atop a network of giant lily pads growing up from the seabed, connected by sturdy bridges and walkways, and held aloft by a series of pumps. Much of the surrounding land is dense mangroves and inhospitable bogs, meaning that the safest approach to the village is by boat. Beyond their trade of food and water, their other goods include fish, rope, and bamboo. They have a sizeable population of 1100, 325 of whom serve in the Marines, while a further 125 make up the Gukko Force. In addition to the resident Ga-Matoran, Ga-Koro has also come to be home for the Le and Bo Matoran. Built atop the ruins of what was once Kini-Nui, the sprawling encampment that makes up this ‘village’ is protected by a labyrinthine mess of defensive trenches, imposing barricades, and rudimentary ramparts. It remains largely self-sufficient, housing Matoran of all elements and skillsets, and trades nothing to the rest of the island save for vague promises of ‘salvation’. The population is believed to number somewhere around 500, and given the fanatical nature of the inhabitants, it’s expected that most, if not all, of this number would commit themselves to the defence if Kra-Koro were ever to come under attack. The island of Mata Nui is home to a great many strange and powerful items and devices, some originating from ages long gone, others having been constructed in more recent times. Krana Xa – provides more complex control over the Bohrok, allowing the wearer to control 30 Lehvak and 15 Lehvak Va. (Currently worn by Tuyet of Kra-Koro). Krana Su – grants the wearer greatly enhanced strength, and allows them to control 20 Gahlok, and 10 Gahlok Va. (Currently in Ga-Koro’s possession). Krana Za – allows the wearer to, with concentration, read the surface-level thoughts of others, as well as control 20 Kohrak and 10 Kohrak-Va. (Currently owned by Kaathe of Po-Koro). Krana Ca – provides the ability to generate a weak, temporary energy shield, and allows the wearer to control 20 Pahrak, and 10 Pahrak Va. (Currently owned by Tuili of Ko-Koro). Krana Bo – gives night/low light vision to the wearer, and provides control over 20 Nuhvok, and 10 Nuhvok-Va. (Currently in Onu-Koro). Fire Sword – the famed weapon of Toa Tahu, the blade remains hot to the touch, and constantly emits a flickering, torch-like light. (Currently in Onu-Koro). 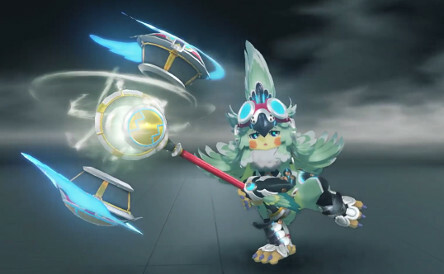 Air Axe – once wielded by Toa Lewa, this weapon is incredibly light, and meets with no resistance when being swung through the air, allowing it to be wielded far more dextrously than is normal for an axe. (Currently owned by Grav of Ta-Koro). Water Hooks – the weapons of Toa Gali, these peculiar tools have a strange habit of making their way back to each other should one of them be dropped or thrown. (Currently possessed by Unit of Ko-Koro). Earth Claws – once owned by Toa Onua, the tips of these weapons are deceptively sharp, able to penetrate stone and metal alike with unnatural ease. (Currently located in Po-Koro). Ice Sword – formerly the personal weapon of Toa Kopaka, this blade gives off a constant, intense aura of cold. (Currently located in Kra-Koro). Toa Shield – the other tool of Toa Kopaka. Like the rest of the Toa tools, the shield appears to be utterly indestructible, although the impractical network of gaps in the surface of the shield make it semi-useless for fending off regular weapons. However, the shield has proven itself able to negate elemental attacks. (Currently in Ga-Koro). Staff of Light – formerly wielded by the short-lived Toa of Light, Takanuva, this staff is allegedly more powerful than the other, comparatively dormant Toa Tools. (Location currently unknown). Makuta’s Mask – once worn by the Dark God Makuta himself, the mask is many sizes too large for a Matoran to wear, and is always cold to the touch. Many believe that this is where Makuta’s spirit still resides. Infected Masks – tainted by Makuta influence, Matoran who wear these items often hear an unfamiliar voice inside their minds, a voice that urges them to indulge their darkest vices and desires (to be very, very clear – I am not trying to mind control players. The voice from the mask is just a voice, and can be ignored). As each episode occurs, it will be linked here. Edited by Nato of Kra-Koro, Oct 09 2018 - 12:18 AM. I will, of course, be reprising my role as Grav Muthbren, the Scab of Ta-Koro. Edited by Efandril, Jul 17 2018 - 01:50 AM. I want to reprise my role as Azalea of Ga Koro, if that's cool. Edited by Voxumo, Jul 17 2018 - 06:06 PM. OK, this time will be the time I actually contribute significantly to the game's events. Hook a brother up with that slot in Kra-Koro, please? I wanna be real nasty for a change. 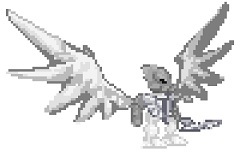 (bust through the wall on Gukko bird) I wish to Join Kra-Koro! Edited by Rassilon (TTL), Jul 17 2018 - 08:07 AM. Okay, that means Kra-Koro (which wasn't even going to be playable village until I forgot to say it wasn't and everyone immediately signed up for it) is now full, since the NPC Tuyet is filling the Turaga slot. May I ask where Makuta's mask is? I will be reprising my role as Elittra, this time as the "Other" of Ta-Koro. I'll send the PM a bit later today. Reprising Ehksidian, Diplomat of Po-Koro. Alright, at present, Ta-Koro has 1 spot remaining, Ko-Koro has 4 spots, Po-Koro has 2, Onu-Koro has 3, Ga-Koro has 2, and Kra-Koro is full. In all likelihood, there aren't going to be enough players to fill all of the spots, so I'm open to letting players contribute a second character to fill the remaining roles. However, only 11 people have signed up so far, so please don't start messaging me secondary characters yet. I'll let you know if/when that can happen. Edited by Nato The Traveler, Jul 18 2018 - 04:10 AM. To be fair, I wouldn't blame anyone for not wanting to join Ko-Koro after the absolute pig's ear we collectively made of it last season. Yeah I sure did goof that region up. I would like to join Onu-Koro, like last season. Nope, she died. But, you did spell her name correctly. So like I did back in Season 1, I have made some banners for this season, updating and building on the aesthetic of the banners I made for last season. I hope you guys like them. I've included the BBCode for each banner, linking to this topic, in a box under them so all you have to do is copy and paste that into your signature. Update: Ta-Koro has 1 spot remaining, Ko-Koro has 3 spots, Po-Koro has 2, Onu-Koro has 2, Ga-Koro has 2, and Kra-Koro is full. If there's anyone you know who has played previous game, or that you think might want to play this one, please send them a link. Edited by Nato The Traveler, Jul 21 2018 - 08:36 PM. If it's all right, please consider me signed up, I'm just clarifying some stuff with Nato before I post a character sheet. Namely, where I need to be villagewise so I can get in on the Makuta-resurrecting action. I want to befriend Makuta and hang out with him. Edited by ZippyWharrgarbl, Jul 24 2018 - 09:30 AM. Honestly, po-koro might be a good bet given my actions last season, which I fully intend on continuing forward with that plot point. Ta-Koro has 1 spot remaining, Ko-Koro has 3 spots, Po-Koro has 1, Onu-Koro has 2, Ga-Koro has 2, and Kra-Koro is full. I think I've put this off long enough as-is. You may now play as a second character if you wish. However, before you all go sending me profiles, let me lay out a few ground rules. As before, indicate in this topic what village you're wanting your character to join. For the sake of my own sanity, just put your second character in the same PM as the old one. Your second character cannot go in the same village as your first. I would prefer that your two characters be distinct from one another, and that they're not pursuing the exact same goals. I'd like if you could make an effort in-game to avoid having your characters cross paths, so as to avoid conflict of interest issues. That said, I won't penalise or smite anyone if circumstances or the actions of other players cause your characters to meet. I will take a spot in Po-Koro, where all the other cool people are. If you want cool, why don't you chill out in ice cold Ko-Koro? Po-koro has Kohrak... Can't get much cooler than that. Edited by Voxumo, Jul 24 2018 - 06:52 PM. Good point. I hear Ko-Koro is a bit melty this time of year. Thanks to Onaku, Kaathe shall have a catchphrase whenever ordering around his Kohrak "Kohrak, Mobilize!" To be frank, "roll out" has a much better ring to it. posting to officially claim that spot in Ko? Edited by Lucina, Jul 24 2018 - 10:44 PM. It does, but that's the autobots unfortunately. Decepticons really don't have a good catchphrase. Edited by Voxumo, Jul 24 2018 - 10:51 PM. Announcing Domor of Onu-Koro, a moderate and a sworn pacifist and povert. Edited by Toru Nui, Jul 25 2018 - 05:25 AM. Alright, at present, Ta-Koro is full, Po-Koro is full, Kra-Koro is full, Ko-Koro has 2 spots, and Ga/Onu each have 1 spot left. I've also just noticed that a couple of people who signed up in the topic haven't sent PMs through yet, so I would kindly ask that those people do so soon. I'll pick a Ko Koro spot.